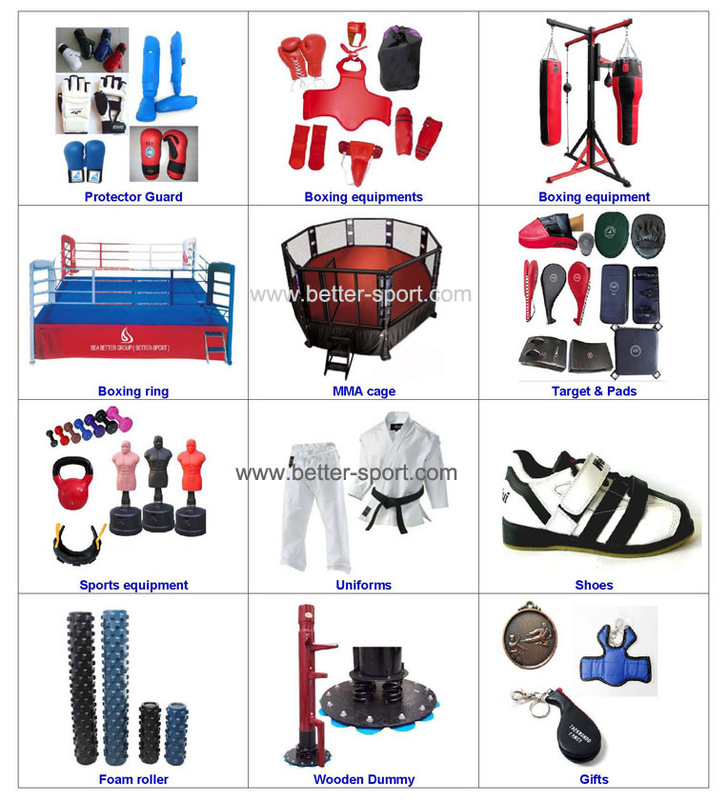 Taekwondo, karate, Judo, kickboxing, fitness, aerobics, Martial Arts Dojo, Dojang, Gymnasiums, boxing clubs, Gymnastics centers, Yoga centers, Children's playrooms, playgrounds and activity areas, KungFu, kick boxing, child-care centers, fitness and exercise centers. These places require a comfortable and safe flooring environment. 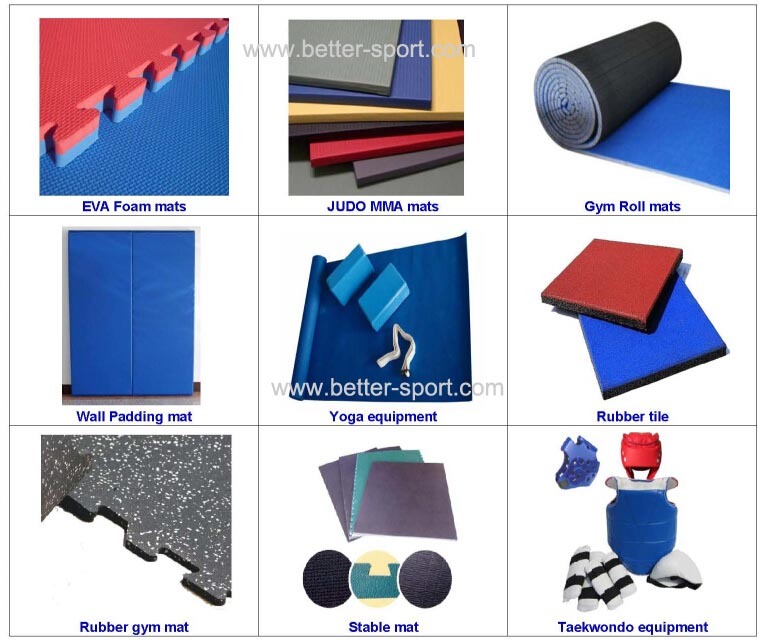 With a non-slip surface interlocking mats, students can avoid many injuries during exercise and enjoy the comfort in practicing and exercise. The interlocking eva mats can also create a peaceful atmosphere and dynamic environment. The soft rubber foam material tatami interlocking floor mats are very easy to assemble, expand, move, store and clean. Delivery time: 1) Sample can be arranged immediately if we have them in stock. A: We have our own factory, and we also have our own trading company. Independent & supported organizations. 2. Q: Where is your company located? How can I visit there? A: Our Import-Export office is located in Qingdao City, Shandong Province, China, 5 miles from the Qingdao Airport. Our own factory is also very close to Qingdao port. There are more than 10 partner factories supplying us with incredibly good price after the long term cooperation. All our clients, from home or abroad, are warmly welcome to visit us! A: Yes, we can do OEM products. It's no problem. Design, Mould, Logo can be customized as you require. 1. We are honored to offer you samples. New clients are expected to pay for the courier cost, the small pieces of samples are free for you, this charge will be deducted from the payment for formal order. 2. Regarding the courier cost: You can arrange a RPI (remote pick-up) service upon FedEx, UPS, DHL, TNT, etc. To have the samples collected; Or inform us your DHL collection account. Then you can pay the freight direct to your local carrier company. 5. Q: How does your company do regarding quality control? 6. Q: Is there any MOQ on each item? A: There is no MOQ by us, however, the more you buy, the cheaper the price. Any question, we are always here to solve it for you! Contact us if you need more details on EVA Mat. We are ready to answer your questions on packaging, logistics, certification or any other aspects about Taekwondo Mat、Karate Mat. If these products fail to match your need, please contact us and we would like to provide relevant information.